Spurs fans present at the Etihad Stadium on Sunday afternoon will have no doubt groaned when Kyle Walker limped off the pitch just 10 minutes to go after sustaining a muscle injury during our 2-1 loss to Manchester City. With the side poised to defy the Premier league odds and come away with a 1-1 draw, the last thing we needed was a defensive change and although Michael Dawson proved a decent replacement for Walker, the substitution nevertheless disrupted our otherwise solid back four at a key moment in the game. According to Andre Villas-Boas he came off as a precaution yet it seems some damage had already been done before the swap. “It was an injury situation as he felt his hamstring was tight,” the boss said. “We didn’t want to risk losing him for three or four weeks. Although the Spurs medical staff have potentially saved Walker from a month-long injury lay-off, the right-back has nevertheless suffered a hamstring strain that will keep him out of England’s international friendly with Sweden this midweek and, more importantly, the clash with Arsenal next Saturday. The leaves AVB with a conundrum: Walker may have suffered a crisis of confidence over recent weeks but he has still played a solid role in our back four this season. With Arsenal next up, the boss will want as comfortable a defence as possible to face Arsene Wenger’s sideways passing game. Without Walker, it would be pleasing to see Dawson earn a rare start at the back, which would provide him with some sort of confidence as we enter the busy winter period. Dawson is as solid a defender as AVB has in his squad, though his bizarre attempts to try and flog him to QPR over the summer suggests he does not have total confidence in him. However, with him now free of injury and seemingly back in favour (maybe through necessity rather than choice) he should prove a real asset to our defensive commitments in the north London derby next weekend. If he was good enough to come on against City, he’s good enough to face Arsenal. Umm even though Walker tweeted today that he was getting ready for the weekend??!! Your a joke mate. Dawson got skinned twice and lost the aerial battle too. He is too slow..in fact he is a pretty poor player. I’m fed up of sentimental tools who keep calling for dawson. He was out for the most of last season and we did much better without him. I’m glad I’m not the only one here. I’ve thought Dawson was not good enough for a long while. Switches off at vital moments, and not enough pace. Caulker miles better even at 20. 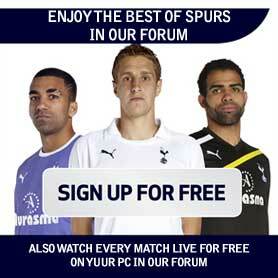 If Tottenham resort to playing Dawson they are really in big trouble. He is a very poor option and nothing more.